As large numbers of migrants, many of them young men, arrive on European shores, questions abound about their future. What do the coming years hold for them? What challenges will they face? And will they be happy? Necla Acik looks at the evidence…..
A project just completed asked over 300 young migrant men about their well-being since migrating to Europe and what their experiences are like in their new country. These were young men who had a legal status and had entered their destination country either as unaccompanied minors, as children of refugee parents, as students or as part of family reunion. Based at the University of Manchester and funded by the European Commission and in cooperation with other partners in Germany, France, Finland, Italy, Ireland, and the Czech Republic, the Migrant Men’s Well-being in Diversity (MiMen) research project identified seven key areas relevant to the well-being of young migrant men. These include the following domains; belonging and space, social networks and recreation, education and employment, family and masculinity, discrimination and racism, safety and authorities, and achievement and expectations. These domains and their particular relevance to young migrant men are important as they have not been given much consideration by national and international well-being measures such as that of Office for National Statistics or the OECD’s Better Life Index. These domains reflect the various experiences of young migrant men since migration and the strategies they employed to fit in and integrate in the new society. Many did not describe their experiences as pleasurable and enjoyable as captured by the hedonic understanding of well-being, not necessarily experiencing their lives a joyful or pleasurable. On the contrary, they struggled to build new and meaningful relationships, pursue desired education, find decent housing and live in a safe neighbourhood, had difficulties to find employment, but above all they strived for permanent residential rights or for citizenship in order to feel safe and secure. The narratives indicated that young male migrants negotiated a constant series of, sometimes hostile, encounters with those in authority. They present a complex picture whereby the authorities may serve as both protectors and supporters for some, whilst being a source of tension, frustration, cynicism and mistrust for others. Tense encounters were linked in the narratives to stigmatization: the double-bind of the discriminatory migrant construction alongside public perceptions of ‘deviant youth’. Young migrant men demonstrated a strong awareness of their status as young men and as migrants which often places them at the bottom of the hierarchy of powers in their host society. Many manage this uneven relationship by demonstrating techniques of avoidance such as keeping a low profile, keeping out of trouble and downplaying discriminatory experiences. The study shows notwithstanding their diversity, the experiences of young migrant men in Europe are strikingly similar. Young men feel that they are picked on by the authorities too often, whether they are associated with drug dealers, trouble makers or potential terrorists. Being young, migrant and male is perhaps the least desirable category. Yet, there are also differences between the seven European countries in which young men were interviewed. In Ireland and the UK for example young people felt that they had mastered the language relatively easily, while in Finland and Germany language was perceived as a great barrier to desired career choices. These country variations are indicative of the different policies towards migrants easing or hindering their process of integration. This seems to have an effect on the experiences of the young men and how they are perceived by the authorities as well as the society and shapes their identity and their well-being profoundly. Despite all odds, the narratives also point to a very optimistic picture of young migrant men. Many of them had a sense of autonomy and achievement, feeling proud of themselves to have mastered challenging situations and having built a life for themselves. For many young men, good life is not just about pleasure and happiness, but involves developing one-self and realizing one’s potential. In that respect young migrant men experience a more eudiamonic type of well-being in that sense that they gain satisfaction from being able to develop their potential and skills, adapting to a new and challenging environment. As the well-being scholar Martin Seligman (2002) argues, in the long run people pursing this type of well-being are more satisfied with their lives compared to pleasure and fun seeking hedonists. The positive outlook of these young migrant men pictures a different image of migrants. It challenges dominant negative perceptions of migrants either as victims or as abusers of the system. Their resilience towards multiple forms of discrimination and exclusion, their ability to adapt and overcome hardship shows that there is potential for a more constructive debate on migration. The experiences of young migrant men can be a source of inspiration for other young people. As one respondent from the MiMen study said, young people in the UK should be proud that they live in a country that offers opportunities to migrants, where people want to come to and learn from them and as well as contribute to it. The current migrant crisis in Europe makes it more urgent than ever to develop policies of inclusion and above all to adapt a more humanistic attitude towards migration. Having a positive outlook can only contribute to the well-being of all of us. Necla Acik is a Research Associate at the Centre for Criminal Justice System (CCCJ), School of Law, University of Manchester. 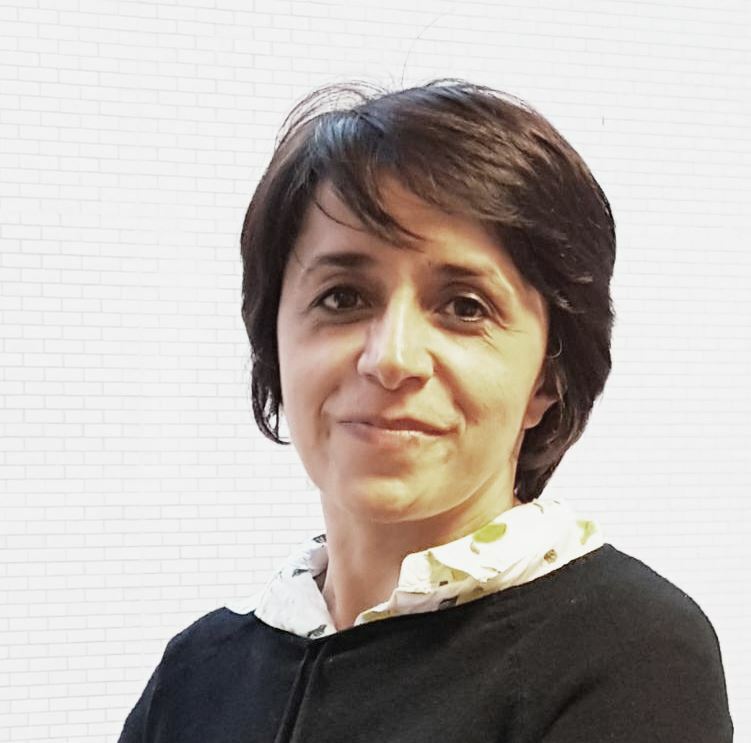 Her research interests are in migration, ethnic inequalities in employment, political consumerism, participative democracy, civic engagement, comparative European studies, gender and nationalism in the Middle East, and radicalisation of Muslim youth.